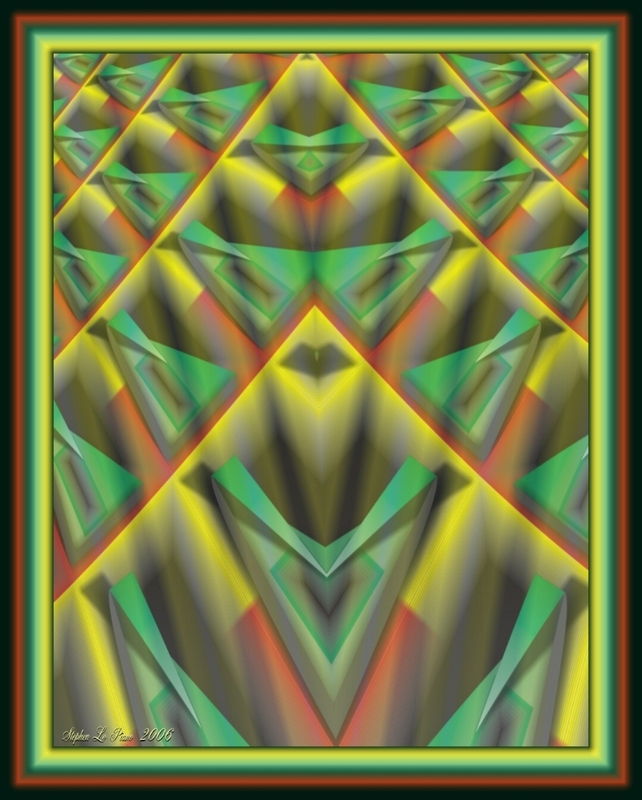 CREATED WITH THE HELP OF THE KPT COLLECTION PROJECTER AND HYPER TILING. 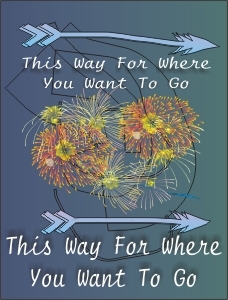 PARTIALLY TRANSPARENT LETTERING ADDED WITH COREL PAINTER IX. 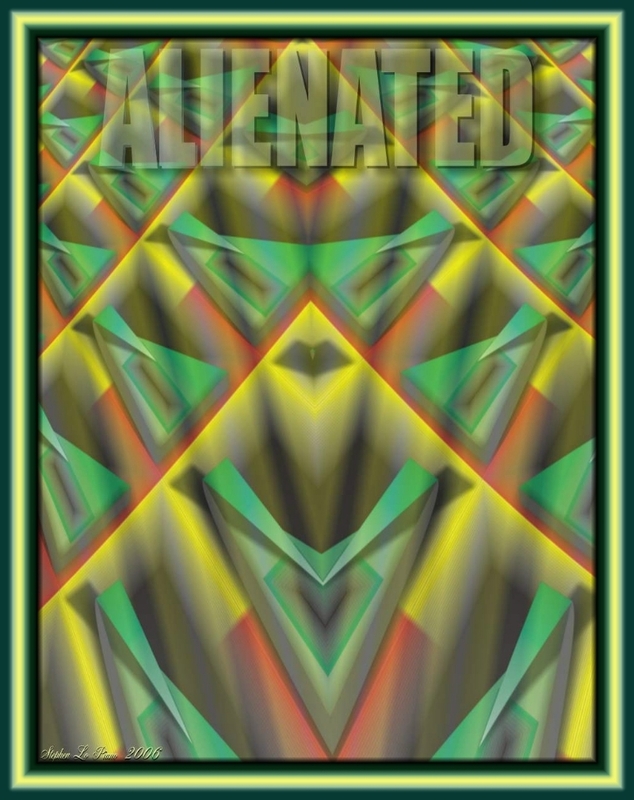 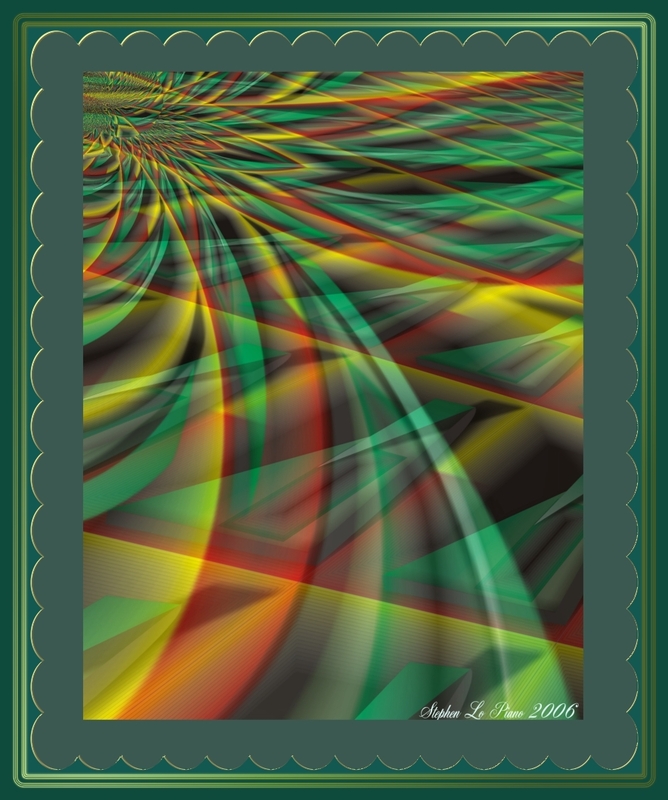 DESIGN CREATED WITH COREL DRAW 12 USED FOR SPECIAL EFFECTS CREATION OF ALIENATED. 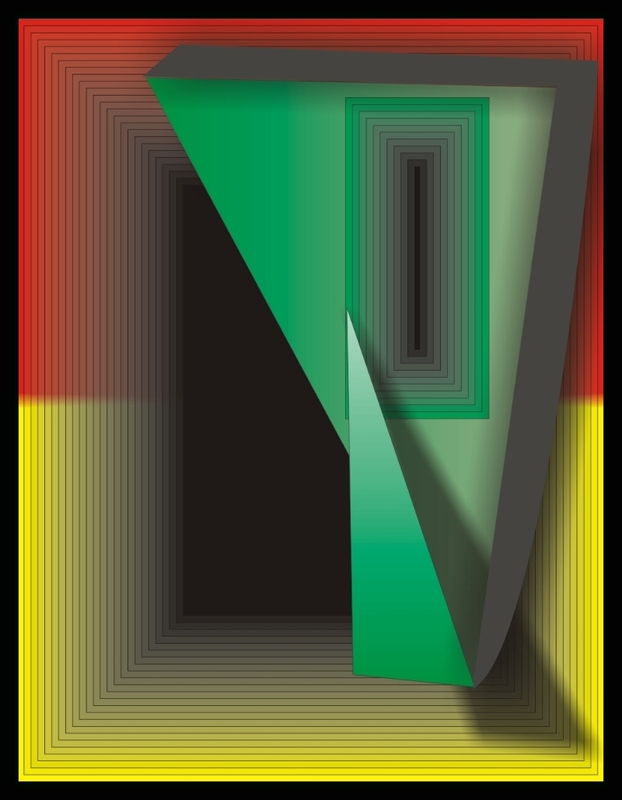 ALTERNATIVE DESIGN CREATED WITH VARIATIONS OF LAYERS AND EFFECTS.